On Friday we released Version 1.0 of our MaxButtons Share Buttons Addon. The response from our Version 0.9 was excellent and we spent quite of bit of time with your feedback making it even better plus Instagram and Youtube social networks. Now it’s ready for prime time. The addon works well with both MaxButtons and MaxButtons Pro. We recommend you download it here and install it today. If you are using the original Share Buttons that came with MaxButtons we recommend that you move to the Addon now as will we be deprecating the old system shortly. The new Addon comes with a good grouping of preset styles and also lets you use a MaxButton for a share button. 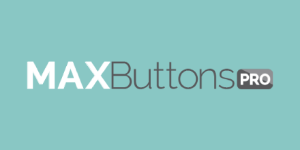 Of course we offer all of the customization you expect from MaxButtons with an easy to use interface that helps you get the job done. Please download it now and try it out!